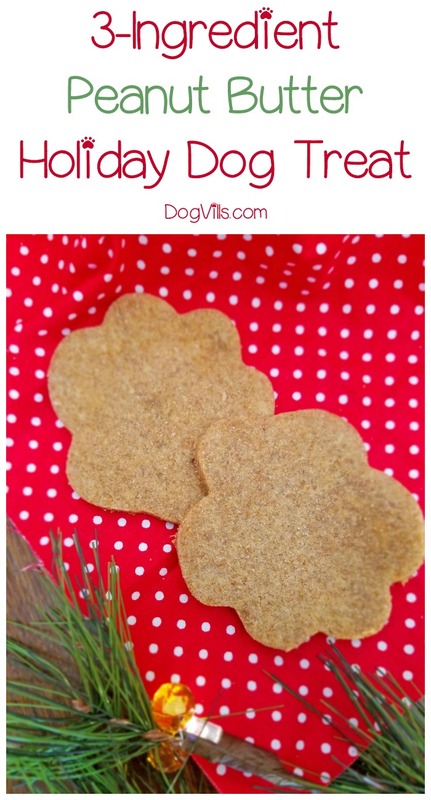 While you’re baking the Christmas cookies this year, don’t forget to whip up a special holiday dog treat for Fido! These super simple treats have just three ingredients! Now that’s my kind of recipe! The best part? Two of the ingredients are totally hypoallergenic and the third can easily be swapped for an allergy-friendly flour. Don’t worry, I’ll tell you how! First, let’s check out how to make these yummy holiday treats! Then keep reading for my tips. Don’t forget to print out the recipe card for later! Preheat oven to 350 degrees and line a cookie sheet with parchment paper . Stir peanut butter and mashed sweet potatoes together until well combined. Add 1/4 C of flour, stirring as you add. Mix well. Form a ball out of the dough. Toss some flour on a flat surface and on the rolling pin , then roll out the dough with the rolling pin to your desired thickness. Use your favorite holiday or bone-shaped cookie cutter to cut out the treats. Cool slightly on the cookie sheet, then transfer to a wire rack to cool completely. Add ¼ C of flour, stirring as you add. Mix well. Toss some flour on a flat surface and on the rolling pin, then roll out the dough with the rolling pin to your desired thickness. If your dog has allergies to wheat, don’t worry! 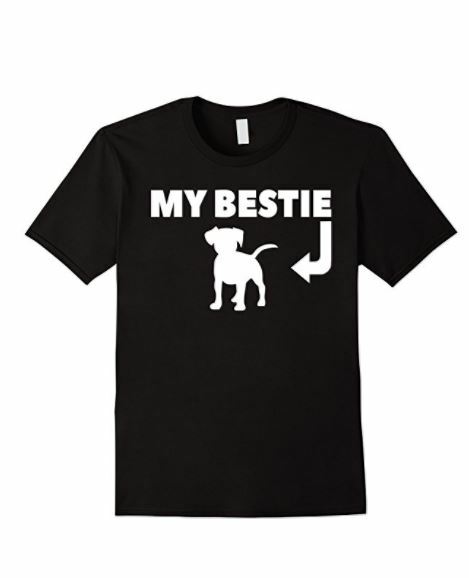 There are plenty of alternatives that are dog-safe! One of the cheapest and easiest to find is probably rice flour. 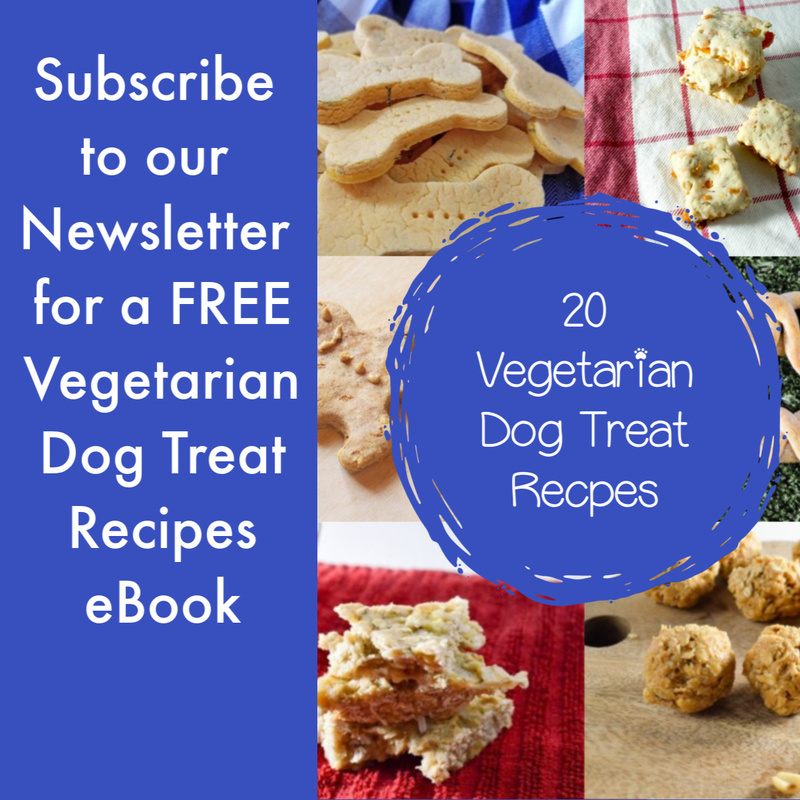 Other alternatives include pea flour, chickpea flour, coconut flour, and tapioca. Depending on your dogs’ allergies, oatmeal may also be a good option. 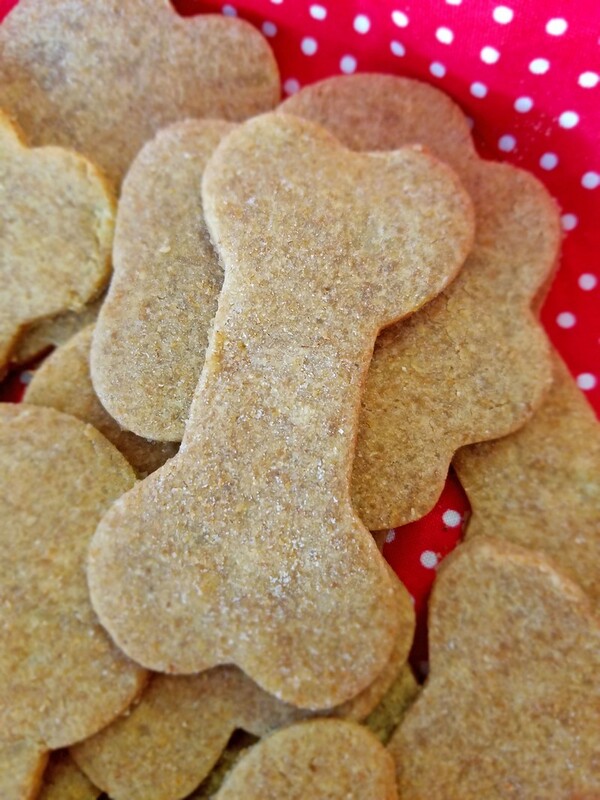 I use oatmeal in these no-bake peanut butter pumpkin dog treats to hold everything together. Well, yes, xylitol IS deadly for dogs. However, at this time, only about 4 brands of peanut butter use this ingredient, and they’re all more or less “specialty butters.” If you stick to the national brands you find in your supermarket, peanut butter is fine for dogs. If you prefer natural or specialty butter, just read the ingredients. Easy peasy, right? FYI, the base of this recipe came from our mason jar dog treats recipe. I highly suggest checking that out if you’d like to give this holiday dog treat as a gift to a fellow dog parent. 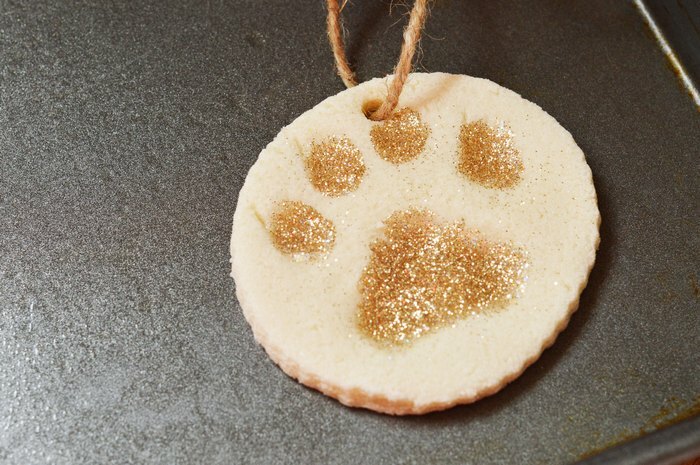 If you want to add a bit more color to the gift, you can whip up some of these cute Christmas Tree treats, then top the whole thing off with this adorable White and Gold Paw Print Christmas Ornament (pictured above). 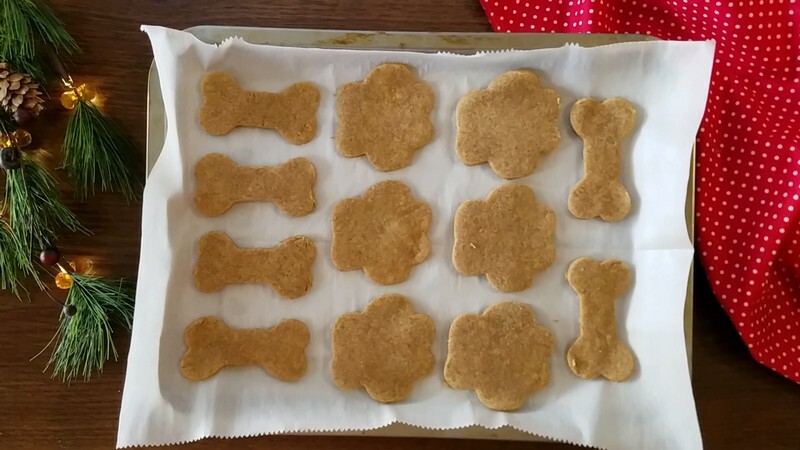 What are you making for your pooch this year? 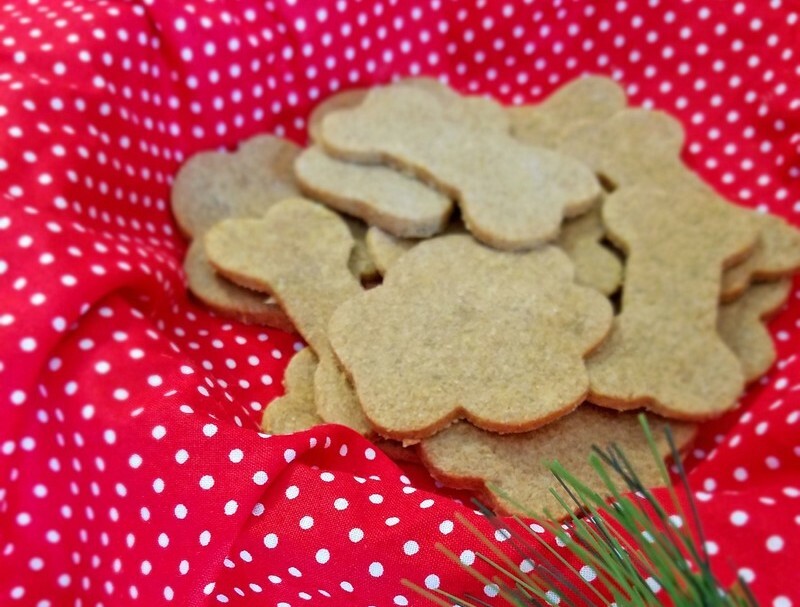 Do you have a favorite holiday dog treat recipe? Share below!